If you cast your mind back to Bethesda’s E3 2018 conference, you might remember getting a close look at Rage 2. Among the gunplay, driving, and a first look at the game’s open world, you’ll have seen an advert for something called the Ruckus the Crusher Talking Head. 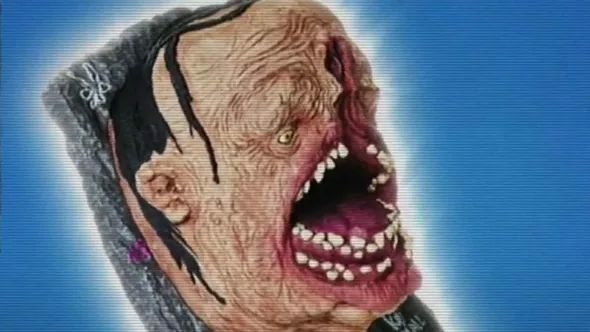 It wasn’t immediately clear whether Ruckus was a joke or not, but it soon became known that it was a real thing that you could buy as part of the Rage 2 collector’s edition. On top of that, we also learned that Ruckus is voiced by party god Andrew WK, who appeared on-stage at Bethesda’s conference to perform his song, Ready to Die. It was quite the opening to the show. Bethesda tweeted after the conference to confirm that Ruckus is real, as well as announcing his voice actor (assuming that’s the correct term). The Rage 2 release date is currently scheduled for spring 2019, but at the moment we don’t have anything more concrete – hopefully Bethesda lets us know more in the coming weeks.